State Senator Rob Teplitz was defeated last month. Yet he’ll still be in the State Capitol come January, and with a higher salary too. As reported by Jan Murphy of the Patriot-News, Teplitz will be joining the Senate Democrats as a policy advisor. A right-to-know request revealed that Teplitz will be paid $98,500 a year for his work compared to the $85,340 salary for a legislator. 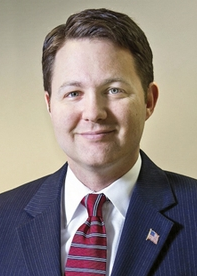 Teplitz was first elected in 2012 and represented the 15th district in the State Senate. That district comprises all of Perry County as well as part of Dauphin County. Thanks for each of your work on this web page. My mum delights in engaging in internet research and it is easy to understand why. Most of us hear all of the dynamic ways you create powerful tips and tricks via the web site and cause participation from the others on that theme plus our own princess is without a doubt learning a lot of things. Have fun with the rest of the year. You have been carrying out a tremendous job. Why the outrage, nothing new here on both sides. Solobay loses then wins a spot in Hburgh 2014. Rob loses then wins a spot in hburgh. Nothing going to change with the Democratic Party. Come on guys get your shot together. Like watching the eagles. A lot of hope but no game..
Wonder if he still has his office counsel position at the law firm. This guy was running pro abortion commercials in central PA. How smart is that? As with many of the democrats consultants, the ones that came up with this message leads you to believe that they are totally clueless. Fail your way to a higher salary!! Anyone who has worked in the legislative can realize the value he can bring HOWEVER, to most, that is what they feel is wrong with government — cronyism. This is an example of political cronyism at it’s worst. He was defeated and the Democrats give him a position at taxpayer expense! The political system in PA is broken and corrupt. I’d be glad to advise the Democrats and charge them half the price. He was so valuable in the Senate and to the Commonwealth, he couldn’t find a job anywhere else. Nicely done Senate Ds. Great person fe the position. i’m guessing for he will be the right person for the job in 2017. Sen. Teplitz was a tireless advocate for his constituents; I am glad to see he will continue in public service.